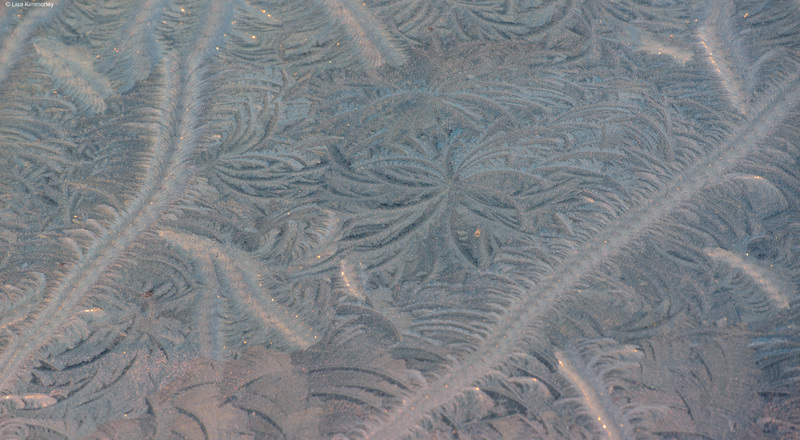 Yesterday morning there was a hard frost – yes, winter is on the way! 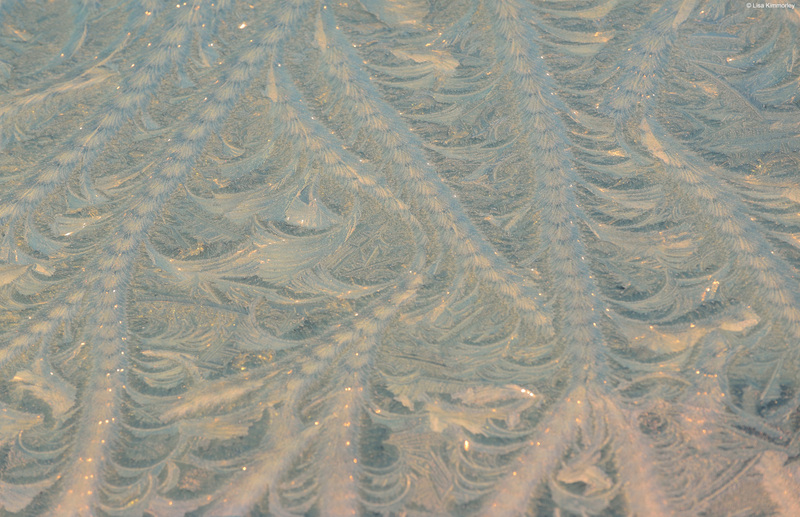 These formations were on the windows and bonnet of some old cars. It was interesting watching the light – some images were taken just before sunrise and then completely changed as the sun came up illuminating different textures. 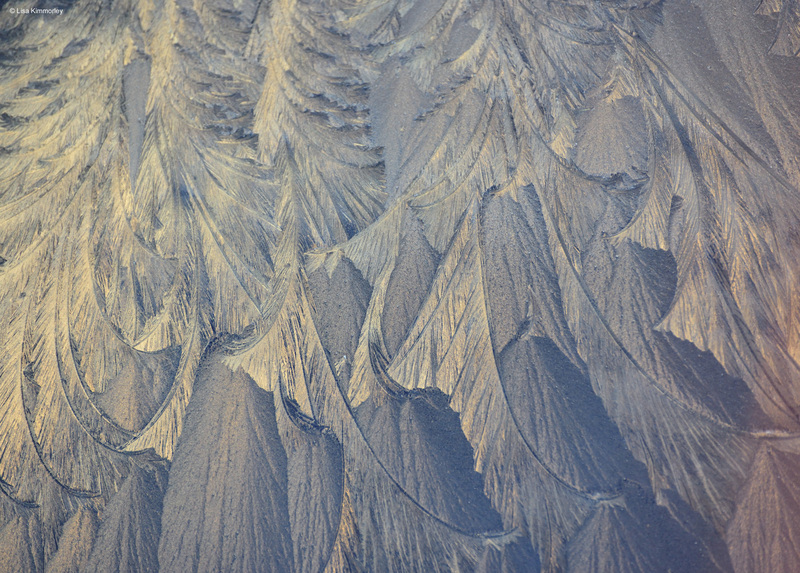 The last one reminds me of an aerial view of the Afghan mountains under snow. Their patterns are so similar to others in nature, sand, wind drifts, clouds. Love em! Remarkable!! The first image makes me think of insects. The fourth makes me wonder if this was the initial inspiration for the art of Lace. The set of five humbles me in what wonderful work you do. These are gorgeous and fascinating. The title of this blog is sooo apt! Thank you!! 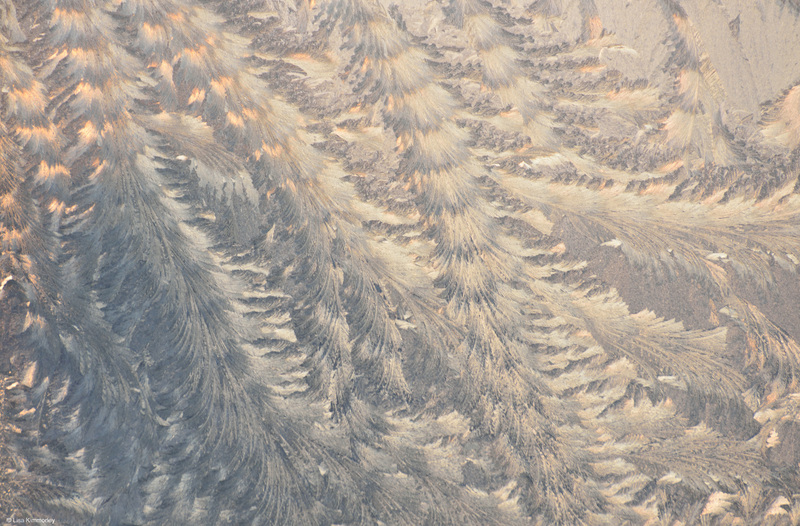 Just LOVE your Frost Feathers Lisa. Thank you for capturing the beauty and sharing it . Simply exquisite. My name is Adam Daniel Arditi. 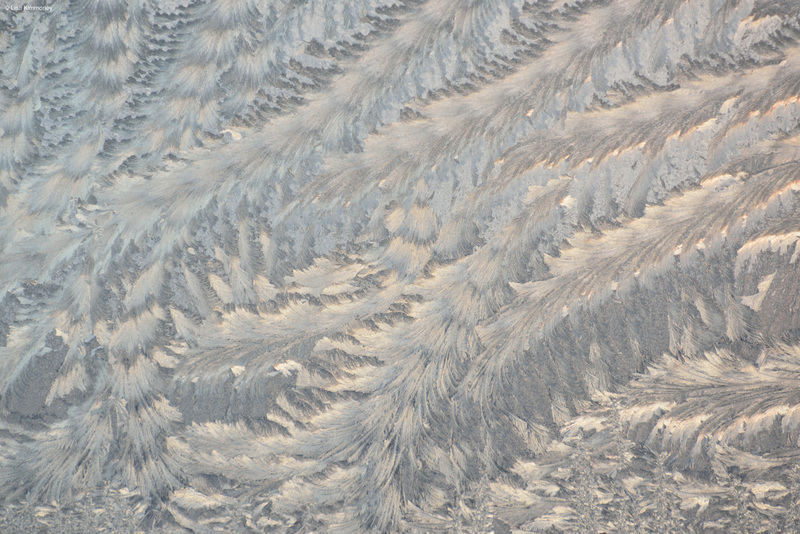 I really love your photography, especially these photos of frozen feathers. I am designing the web page for a conservation organization and I am looking for natural textures to subtly blend into the background. I would love if I could use your last photo of the frozen bird feathers for this purpose. Would you be open to this?